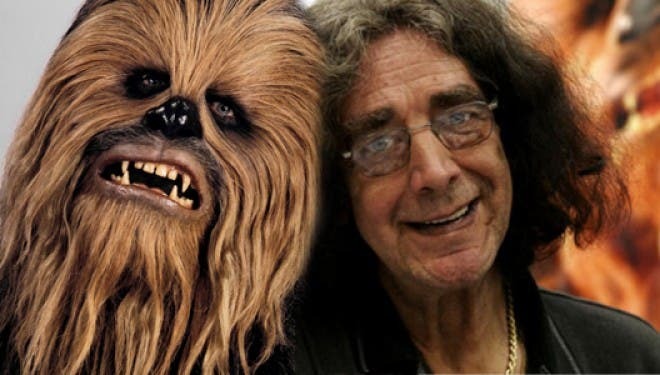 Fresh off the set of Star Wars: Episode VII, Peter Mayhew (the man behind everyone's favorite wookiee) has joined in the craze that is hitting social media-donating money to the ALS Association to fight the terrible disease, while also dumping a bucket of ice water on your head and challenging three peers to do the same. Mayhew and his wife challenge fellow Episode VII costars Andy Serkis, John Boyega, and actor Jeff Cohen. Considering that the social media wave his recently hit the point where celebrities are now challenging each other, tt will be curious to see if other Star Wars actors follow up with these challenges. To help donate to the ALS Association, please click here.